This is part 4 in a 7 part series on Genre, which takes a nostalgic look at some of my personal experiences with various types of music, games, and pop culture over the years. Check out the others if you would like! Suggestions for how to improve? Contact me or leave a comment below! 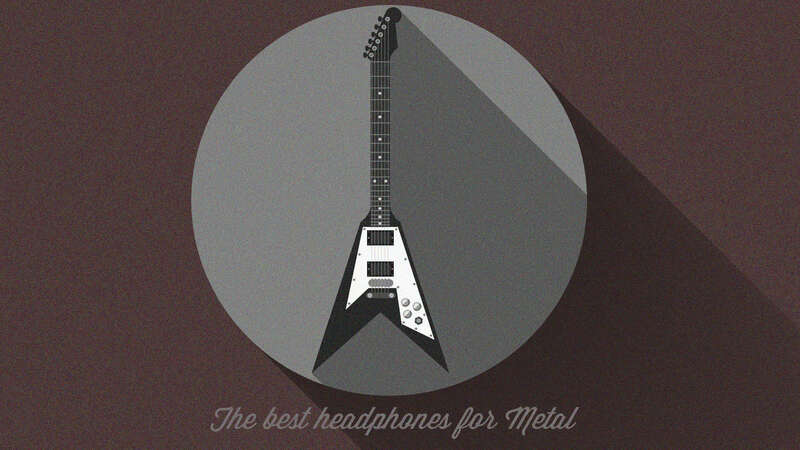 Before we get into the the best headphones for metal, grab a snack, sit back and relax because.. I bought myself a Gray Guitar. When everybody loves you, you can never be lonely. Metal music is a lot like Rock, in that guitars for the most part tend to drive the song, followed by the bass. I’ve always been into Metal to some degree, but I wouldn’t say I’m a die hard fan of all it’s sub-genres. I like a little Megadeth from time to time, some alternative metal like Rage Against the Machine, Doom metal like Black Sabbath, Motorhead, Iron Maiden, and more recently, Progressive Metal/Rock/Math Rock from artists like Chon, Plini, Animals as Leaders, etc. The good news is that what works for Rock mostly does work for Metal as well, given that the genres share a lot of similarities. Learn more: The best headphones for Rock! My experience with live Metal is fairly limited, but a show that still stands out to me among-st the rest is when I saw Russian Circles with 2 of my good friends back in 2015 at the Cat’s Cradle in Carrboro, NC. I wasn’t really sure what to expect, as I had never heard the band. My friends assured me it would be a head bangin’ good time, and so I obliged. As we we walked out of the venue, mouths agape, we could do nothing but simply laugh it up. I literally thought my ears were going to explode. There was this awkward ringing feeling and I wasn’t sure if I was about to go deaf or not. Lol. All in all, it was a lot of fun but I’m not sure if I’ll ever do that again. My whole body was vibrating even days later, but I would say overall it was a good experience. Russian Circles don’t F around. Kind of like Joe Pesci. Whew! So with that in mind, let’s look at some considerations when deciding on a pair of headphones for metal. Budget. What are you looking to spend? Today’s article will cover some more affordable solutions, as well as some higher end cans that you may consider. There is a caveat though, and we’ll take a look at that next. Mastering quality. Unfortunately, the general consensus is that Metal music is typically recorded badly (in most cases), and this becomes an issue when deciding on a more expensive set of headphones. The reason is that the better the headphone, the more transparent and honest it is. For example, I have a pair of Sennheiser HD600’s, and although they are a fantastic set (The #1 Overall Go To), it’s not all sunshine and rainbows. You’ll find that there are a lot of songs that simply don’t sound good because they were poorly mastered, and only an honest sound signature could reveal that. Metal tends to be overly compressed, and thus loses quite a bit of detail and clarity. A good headphone will only magnify that issue unfortunately. With that in mind, we’ll try to stick to the entry level category today, but still delve into some better offerings for the sake of being concise. Source. Do you want a headphone that will work well out of a mobile device, or do you plan on purchasing an Amp/DAC? This article should help: How to choose a headphone amp! Closed vs. Open. Do you intend on being out and about with your headphones, or staying indoors in a closed off, isolated studio environment? A big factor in determining is the type of sound you prefer. Learn more: Closed back vs. Open back headphones. Bass. The ideal Metal bass is not too overpowering, but also not weak. It lies somewhere in the middle, and could be construed as “lean” but still not lacking impact. A good example of this is the HIFIMAN HE400i. Definitely not a bass head affair, but also not lacking. It has an excellent sense of heft, but never becomes out of control or obnoxious. We’ll talk a bit more about it later since it does make the list! Mid-range. We want the mid-range to be fairly flat/balanced, so that instruments and vocals are heard with great clarity and detail. Your typical V shaped headphone (Too much bass combined with a sucked out mid-range and overly bright treble) is not what we’re looking for. Treble. The treble should be clean and exciting, but not overly bright or anything. That said, I’m a bit more forgiving of a brighter character since it does tend to enhance the sound in most cases. The best scenario for good treble on a Metal can would be a somewhat darker treble, to help offset some of the compression/artifact issues that we touched on earlier so prevalent in a lot of Metal recordings. Soundstage/Instrument Separation. Because Metal tends to be so guitar and vocal driven, we want the sounds to be distinct and separate, rather than layered on top of each other like most low grade dog food cans have shown us in the past. What is Soundstage? Comfort/Build. Obviously we’ll want a headphone that is comfortable and built well. I do tend to be more forgiving of lesser models in this regard, especially if the sound is stellar. An example is the AKG K240. It literally does feel like something you may find lying around the toy section of your local Wal-Mart, but it’s sound more than makes up for it. Learn more: AKG K240 Review! Sony MDR V6. Yes, this is the best entry level closed back headphone, and for good reason. Like the Porta Pro, it’s remained relevant since the 80’s, and I don’t see it going anywhere anytime soon. It’s the quintessential studio headphone, with a crisp, neutral bass, balanced mid-range, and bright treble. Standard issue, can’t go wrong sound. Learn more: Sony MDR V6 Review! Shure SRH440. The 440 tends to be extremely revealing and crisp, and it bodes well for metal because of the immense detail it provides. Yes, it will be a bit overly bright at times, but the sound is so clear and precise that it deserves a spot on the list. Learn more: Shure SRH440 Review! Koss Porta Pro. Perhaps the best “cheap” headphone you can buy, this baby has been around since the 80’s, and certainly looks like it could star in a John Hughes teen movie. Aside from that, it’s got an atypical sound signature for a headphone in it’s price range, providing great balance in favor of the dreaded V-shape (Over exaggerated bass, recessed mid-range, bright treble). I suppose it’s why the Porta Pro is still relevant even today. Grado SR60e/80e. These two sound almost the same, although I would give the slight edge to the 80e as it provides a bit more clarity. As far as sound, you can’t really talk about the metal genre without at least mentioning a Grado can. It’s almost a travesty or something. Yes, the Grado house sound can be a bit strident in certain areas (cough 2kHz cough), but overall it’s still going to be marvelous for detail retrieval and overall excitement. Learn more: Grado SR80e Review! I don’t think there was a time when I wasn’t more excited pumping out Chon’s “Temporarily Destabilized.” Go ahead, melt your face, do back flips, get pumped! Philips SHP9500. My go to budget kings in the open back category, and slightly edging the V6’s overall. Much has been discussed about these puppies, and in my mind they sound just as good if not better than the venerable HD600. A bold statement, but it’s the truth. The extra emphasis in the lower mid-range/upper treble helps a lot with crunchy guitars and vocals. Learn more: Philips SHP9500 Review! Sennheiser HD558. Yes, this balanced baby does well for metal because it doesn’t hype any frequencies, and as we discussed, Metal does tend to kind of over exaggerate things sometimes. That said, these puppies will sound best without the rubber strips, and you can find out how to do it in my review. It’s really easy. Learn more: Sennheiser HD558 Review! Sennheiser HD25. Perhaps the best in this category, the HD25’s are an intense, exciting, immensely detailed, and overall in your face experience, best listened with in chunks. This isn’t the type of headphone you’re going to be able to wear all day, so let’s get that out of the way. It will fatigue you musically as well as physically. The comfort factor is below average, but the sound more than makes up for it. This is still widely considered one of (if not the best) DJ headphones ever made, but also works well with a variety of different genres. I hear details and lyrics in the HD25 that I simply don’t in other headphones. They are very transparent. Go ahead, I dare you to throw on Killing in the Name of by Rage Against the Machine. Prepare to have your mind blown. I love all the extra guitar sounds you can hear with these puppies. You’ll also notice many T.V. announcers donning these as well. They’re extremely portable, durable, and convenient, and make a great travel/on the go companion. Learn more: Sennheiser HD25 Review! Shure SRH840. Following a similar sound signature to the 440, these may be even better due to the tamed down treble. Other than that, it’s a very similar overall sound and a perfect pairing for the Metal genre. Beyerdynamic DT770 Pro. This is considered a studio headphone, but like the M50, doesn’t really live up to that moniker. Learn more: Audio Technica ATH M50 Review! Both are headphones more suited towards pure enjoyment, and neither disappoint. The DT770 is a little bit bass heavier than average, but never really delves into Beats by Dre territory. It’s got nice slam and impact, with a shimmering treble and slightly recessed mid-range. The mids are in no way absent, but they do tend to take an ever so slightly downward trajectory into about 5k, before becoming brighter in the treble regions. Audio Technica ATH M50/50x. Another great all purpose headphone, I’ve had my 50’s since January of 2013. They’ve since come out with the 50x, which sounds about the same, but with a bit more bass and a somewhat tamed down treble. Check out the differences here: Audio Technica ATH M50 vs. 50x. Learn more in my review: Audio Technica ATH M50 Review! Beyerdynamic DT880. Could be the go to in this category. The DT880’s have an incredibly clean signature, reminiscent of the HD600’s but with more treble emphasis. Bass has punch but never gets out of place, and instrument separation is spot on as well. Beyerdynamic DT990. These don’t sound nearly as bass heavy or treble happy as people like to claim, but they are bright, and will be an immensely fun listen for Metal. Learn more: Beyerdynamic DT990 Review + Comparison to the Premium version. The differences between the 990 and 880 are slight. The 990 is a more fun listen, with some added bass emphasis, while the 880 is extremely neutral. One reason you may opt for the 880 is because it doesn’t mask the mid-range as much as the 990, due to it’s more neutral bass response. This helps greatly aid the emergence of guitars and vocals. Sennheiser HD600/650. Sennheiser HD600 vs. 650.The 600’s are my Gold Standard as far as audiophile headphones, and they do work for metal because they are so balanced, detailed, and revealing. The treble on them is darker than the 880, and thus they can sometimes sound a bit dulled. This is really only realized when A/B testing them against something like an SHP9500, which sounds a bit brighter side by side. Learn more: Philips SHP9500 Review! If you were wondering about the differences between the 600 and 650, the 650 has a bit more bass and sounds warmer. The HD600 sounds clinical and sterile by contrast, but it’s still a similar sound regardless. Sennheiser HD600 vs. 650. One of the reasons both of these headphones work so well for Metal, and really any genre, is because of their ability to pick up bass lines with astonishing clarity. No longer does the bass sound like a jumbled mess. You’re able to distinctly hear each note, which can yield some extreme excitement. Learn more: Sennheiser HD600 Review! HIFIMAN HE400i. Another mid-level gem, these are warmer than the HD600, with more bass emphasis similar to an HD650. Learn more: HIFIMAN HE4ooi Review! AKG K702/Q701. These will also do very well with Metal, but will sound more anemic as far as bass is concerned. Some folks prefer this over a powerful bass, and your mileage will vary. Audio Technica ATH AD900x. This is an extremely airy sound, and will work very well with Metal. It’s got a smooth bass response (there is a bit of roll off however), a flat mid-range, and a bright treble. Another standard option. I put it near the bottom of this category because I feel as though it’s lacking “life” at times. Still, a consideration. As promised, I’m not going to go too crazy with these, as the majority of the time it won’t be worth it to spend a ton of money on a headphone for Metal in particular (due to the problems we discussed earlier). Audeze LCD-XC. Just a fantastic sound signature, but can be a tad bright between 1-2k. Still, this is an extremely clean signature and bodes very well for most genres, Metal included. Learn more: Audeze LCD-XC Review! AKG K712. Better than the Q701, and perhaps AKG’s best, the K712 is one of the smoothest, flattest frequency responses out there. Smooth, neutral bass, balanced mid-range, and a nice crispy treble for good measure. Grado GS1000e. The GS1000e is an extremely spacious, wide, and revealing experience best heard in a dark, quiet environment with a good amp. I would describe the sound as a flower opening up. You start to realize how closed off things get in lesser headphones. Learn more: Grado GS1000e Review!! Audeze LCD-X. Similar to the LCD-XC, this puppy is a bit toned down in that 1-2kHz region, and just may be my favorite Audeze headphone out of the LCD line. Probably my #1 recommendation in this category. Learn more: Audeze LCD-X Review! In this section I will attempt to outline which headphones go well with the different genres of Metal. Let me know if you have any suggestions, omissions, additions, etc. Sony MDR V6. Best for Progressive, Alternative, Heavy. Shure SRH440. Best for Doom, Power, Symphonic, Progressive. Koss Porta Pro. Best for Black, Alternative, Heavy, Progressive. Grado SR60e/80e. Best for Symphonic, Progressive, Power, Alternative, Heavy, Thrash. Philips SHP9500. Best for Alternative, Black, Power, Heavy, Progressive, Sludge/Stoner, Thrash, Goth. Sennheiser HD558. Best for Alternative, Progressive. Sennheiser HD25. Best for Alternative, Progressive, Heavy. Shure SR840. Best for Doom, Power, Symphonic, Progressive. Beyerdynamic DT770 Pro. Best for Doom, Thrash, Industrial, Black, Alternative. Audio Technica ATH M50/50x. Best for Grind-core and Industrial. Beyerdynamic DT880. Best for Progressive, Death, Symphonic, and Doom. Beyerdynamic DT990. Best for Alternative, Progressive, Heavy, and Death. Sennheiser HD600/650. Best for Alternative, Black, Power, Heavy, Progressive, Sludge/Stoner, Thrash, Goth. HIFIMAN HE400i. Best for Progressive, Death. AKG K702/Q701. Best for Progressive, Symphonic, Goth, Power, Grind-core, Black, Death. Audio Technica ATH AD900x. Best for Black, Heavy/Speed, Symphonic. Audeze LCD-XC. Best for Alternative, Doom, Heavy, Black, Symphonic, Thrash, Goth, Sludge/Stoner. AKG K712. Best for Symphonic, Power, Industrial, Sludge/Stoner, Black, Progressive. Grado GS1000e. Best for Symphonic, Progressive, Power, Alternative. Audeze LCD-X. Best for Alternative, Doom, Heavy, Black, Symphonic, Thrash, Goth, Sludge/Stoner. Well I hope I’ve shed some light on the subject, and didn’t leave you too confused. These will get you started in the right direction. SEE THE PHILIPS SHP9500 FOR YOURSELF ON AMAZON! SEE THE SENNHEISER HD25 FOR YOURSELF ON AMAZON!! SEE THE SENNHEISER HD600 FOR YOURSELF ON AMAZON!! SEE THE AUDEZE LCD-XC FOR YOURSELF ON AMAZON!! SEE THE AUDEZE LCD-X FOR YOURSELF ON AMAZON!! Well that’s about it for today my friend! I hope you’ve enjoyed this article on the best headphones for metal. What do you think about these? Which are you likely to purchase? I would love to hear from you. Until next time..